Available in either 18 or 24 count. Choose from a variety of cookie flavors to make your platter, including our super-soft Chocolate Chip Cookies made with Valrhona Chocolate. Our Chipless Cookies are similar in taste to a shortbread cookie but much softer in texture, not so buttery, and have a hint more sweetness. 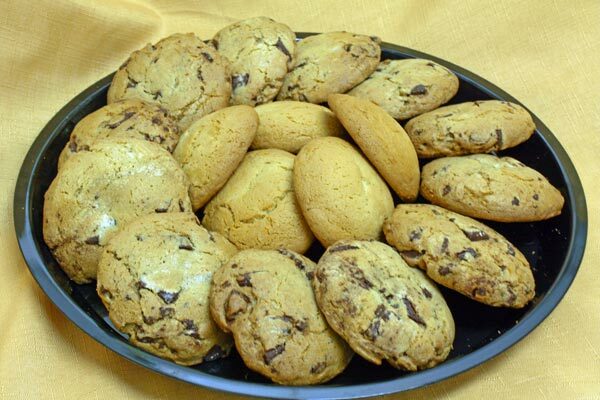 Our Chipless Cookies are great on their own or for dunking in a hot beverage.